This is frightening. Australians now have to cut their strawberries before eating them because some lunatic is hiding needles and pins in them. 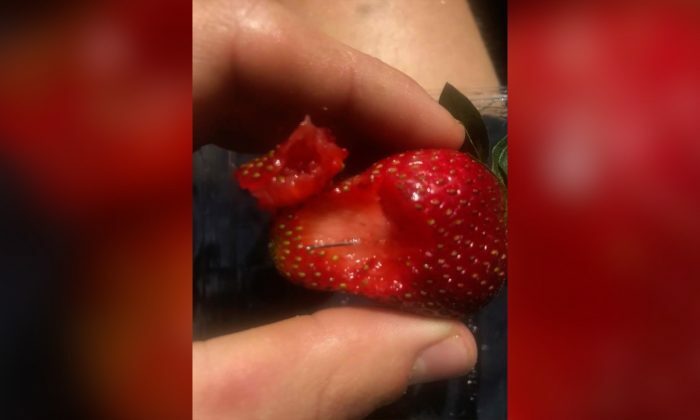 The Queensland government is offering a $100,000 reward to catch the culprit behind the strawberry needle sabotage scandal. The announcement from Premier Annastacia Palaszczuk comes as six different brands of strawberries have been pulled from supermarket shelves after needles and pins were found in the fruit. One man was hospitalised, while a mother was also about to feed one to her baby. Berry Obsession, Berry Licious, Love Berry, Donnybrook Berries, Delightful Strawberries, and Oasis are the brands that have all now been recalled. The announcement from Premier Annastacia Palaszczuk comes as six different brands of strawberries have been pulled from supermarket shelves after needles and pins were found in the fruit. Queensland chief health officer Dr Jeanette Young has advised consumers to take care when consuming the fruit. Disgusting. Lock them up and throw away the key. Another reason to not like strawberries. It's crazy how mental people can be. Hope the police find him. Omg, that's terrible. I'd love to know what goes through their minds to do that...then again, I'd rather not know. 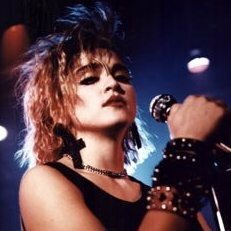 I sometimes think of the possibilities of weirdos doing strange things like that.. the older I get the more I realise the amount of lunatics we share our world with. it reminds me a little of this.. There are so many mentally ill people in our society. 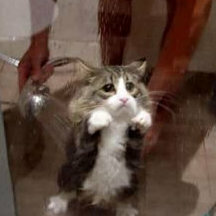 How can anyone just think of doing something so cruel? Thanks for this news some sickos might be inspired to do it in other places? Already copycats are doing similar things to apples and bananas. Too many attention seekers who are also sick nutters around. I only found out about the news right after I had eaten a punnet of strawberries from Woolworth. It's been a family tradition in my house to bop for apples at halloween every year. Strawberries are are my favourite fruit. Of course I will my dear! What's happening in Aus is scary. I hope they find that lunatic. Tranet's "Made For Flop" flopped in OZ hence the hate!